This blog is primarily about Sprinting and Track & Field, but I am going to share you my experience as a coach and crew member for the Lake Tahoe Triple Marathon this past weekend. The entire lake circumference is 72 miles, and yes, there is a single day Ultra. 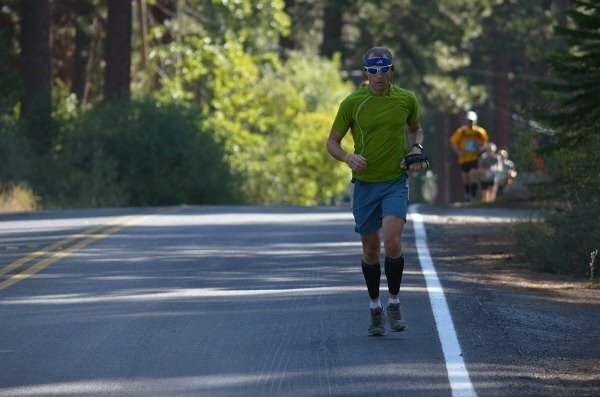 The Lake Tahoe Triple Marathon is 26.2 x 3 days totaling 78.6 miles. Thus there is a 6 mile overlap where you run on the same course for this 6 mile distance. There are other events as well, such as a single day marathon and half marathons among others, but I am only going to focus on the Triple Marathon where I crewed for 3 days. For more information, visit their website. A brief geography of the course. First, it’s at altitude, between 6000-7000 feet in elevation. 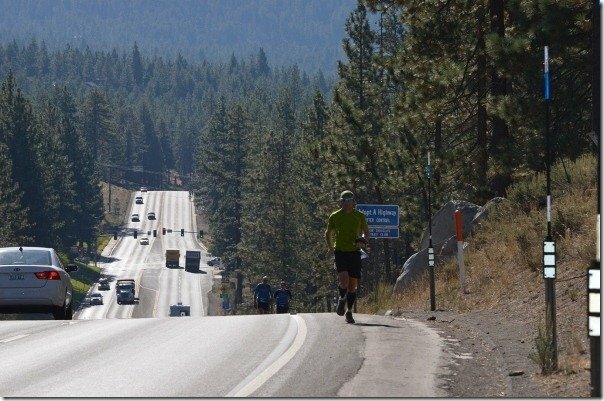 The three marathons are Emerald Bay to Spooner Lake, then Spooner Lake to Tahoe City, and finally Tahoe City past Emerald Bay to Pope beach (hence the extra 6 miles). 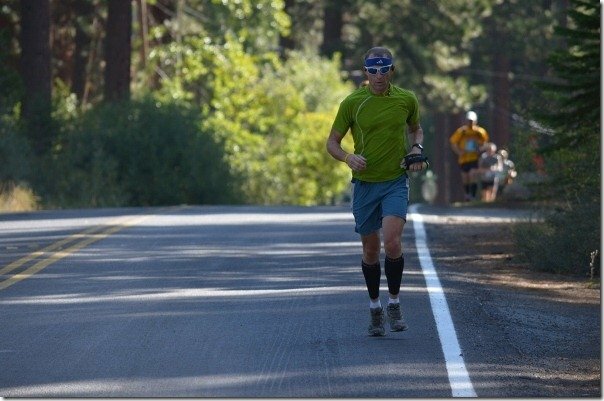 My athlete and good friend has run a recent 3h39 hilly marathon at sea level. Thus my plan was to aim for 4h20 “daily” marathons for 3 consecutive days using 40 minutes as my “converter” considering the altitude and attrition rate of running 3 consecutive days. (I would use 30 minutes if the race was at sea level) This would give a goal of 13 hours total aggregate time. A sub-12 hour total was way too aggressive. You have to understand most marathon runners are trashed after running “only” 26.2 miles. Just ask any marathoner if they are able to walk DOWNSTAIRS, 2 DAYS after a full marathon. Despite the criticism of the Galloway technique (or Gallo-walk from the Galloway haters out there), we decided against continuous running so we implemented a 4 minute run, 30 sec walk approach. Feeding stations would be incorporated in the walking breaks. We thought about using 8min run/1 min walk or even “walk a minute every mile”approach. Whatever you do, have a plan, and stick to it, within reason of course. We took advantage of technology and studied the course profiles (isn’t Google Maps wonderful?) and calculated the aid stations accordingly. Every 3 or 4 miles is perfect for a pit stop (approx 30-40 minutes), whereas I feel every 5 or 6 miles can be a bit too far for breaks. The biggest challenge is, of course, hydration, electrolyte balance, and caloric energy throughout the race and after the race. On the advice of Duncan Callahan, we used EFS from First Endurance for our choice of electrolyte drinks. This provided the proper balance of sodium and potassium, but also some additional calories. We also decided not to go 100% with artificial foods (i.e. Goo, Gels, Shot Blocks, etc.) and try to eat real foods along the way every 30-40 minutes. The goal should be about 200-300 calories per hour in both liquids and solids. By eating real foods, it adjusted better to the gastric pH balance. If your runner starts throwing up from liquids or foods, it’s game over. If you rely purely on artificial foods, be sure to test it out on long long runs. Your stomach may or may not prefer real food, but I’ll take real food any day. I get hungry every 4 or 5 hours and that’s without exercising! After some experimentation, what worked well for him was strawberries, crunchy granola cereal bars and peanut butter & jam sandwiches on white bread, along with the EFS drink. Bananas, soft granola bars and turkey and white flour tortilla didn’t work as well. Your mileage will vary. Seriously. The Recovery component is huge when attempting 3 marathons on 3 consecutive days. The recovery starts immediately when you cross the finish line. One should have a recovery drink within 30 minutes of the race. I always believed in the 4:1 carbs to protein ratio, and again, from the advice of Duncan Callahan, we chose Ultragen. Once the 1st stage was over, jumping immediately into frigid Lake Tahoe was the plan, at least until waist level. Why cold and not heat? Because of the swelling and micro-tears from all that pounding. Since my runner had a prior bout with shin splints, we used a 110% Compression product Double Life Shin/Calf Sleeves, which is a sleeve for your calves and a pocket to hold an ice pack. You can simply use 2 pairs of socks and soft blue ice packs or even a bag of frozen green peas. Since we had a commute back to base camp, these ice packs were placed within an hour of the race, as well as other ice packs for his upper thighs during the ride home. We had access to a massage therapist who gave a full body massage in the early evening on Day 1 and 2. Ultramarathon runners are famous for carrying a water bottle (or two) during their run, and this can wreak havoc on your biceps, neck, trapezoids, and upper back. One must be careful not to go too deep, especially on the tender lower limbs, as this was strictly a recovery massage. Not the time to get into deep tissue! 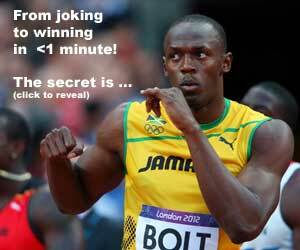 READ Usain Bolt Splits - 9.69 vs 9.58 - Can He Run Faster? Another secret weapon in my toolkit was an arnica gel based product that is currently not on the market, but more on that in a later article. I promise. In short, you run the first day with your BODY. The second day you run with your MIND. And you run the third and final day with your SOUL. I can barely stay focused for 5 hours playing a round of golf. How you stay focused running for hours is up to you, but you’ll have to dig deep if you stand a chance of finishing the race. The above article pretty much sums up the 3 day weekend, if you are planning on trying such an event or Ultramarathon. I’ll go more into the specific day-to-day events in the next series.